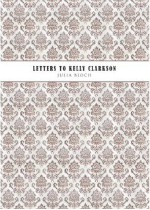 “Everyone wants music that transports them,” writes the speaker in Julia Bloch’s new book of prose poetry, Letters to Kelly Clarkson. While one need not possess a discerning ear for musical talent to appreciate the cultural meaning of a pop star like Clarkson, Bloch’s collection of poetic epistles pricks the barrier between the actual and the illusory. 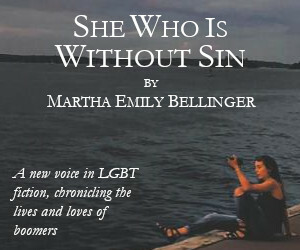 This book is not about Kelly Clarkson and its tone is not as playful as the title suggests. While each letter acts as a prose poem, the collection in its entirety reads as essay, for it reveals a mind at work – it lays bare all the cranks and gears of an observant mind following a train of thought. Throughout the book, readers witness the speaker’s relationship to Clarkson shift and evolve. First, the speaker is fascinated, then suspicious, angry, and often irritated. In another moment of flagging affection, the speaker speculates, “I’m not even sure you can read music.” It is also here that the speaker’s frustration with herself emerges. But even through her critique of Clarkson and the system which defines her, Bloch always regards her with an unmistakable tenderness. Bloch shows that both Kelly Clarkson’s music and character have the bizarre quality of possessing subtext without content. The Kelly revealed in this letter comes off at once as empty, and as eerily sinister. The speaker relentlessly searches for the meaning of Kelly Clarkson and always comes up empty-handed. Desperate and exacerbated she writes, “I know I shouldn’t but I want you to be a real girl, muscular, with a hair shade that doesn’t make a sound.” Then, in the very next letter we encounter a description of a television: “There are many chords running across the length of the couch. Ideas coast in on ones and zeros, without color.” Juxtaposing the desire for Clarkson to be a “real girl” with the cold image of the TV leaves readers wondering what is more real: Kelly, with her streaked hair and bottled sweetness, or the television, with all its components. It is significant that these missives have an addressee but no signature; the poems seem like questions without answers, and readers begin to feel like something is missing. But what’s missing is not something so simple as a “sincerely yours” at the end. What’s missing is something a bit more ominous: the content of Clarkson’s character. The letters posit Clarkson as container in which a multitude of cultural neuroses about femininity, desire, and the characteristics of reality fit, leaving readers feeling anxious about their own complicity in a system which venerates Clarkson’s emptiness. 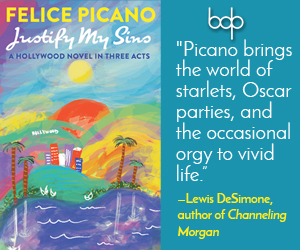 If readers find themselves ensnared by this sobering, cerebral prose, they will be delighted when tight, poetic moments flash across the text illuminating everything in their vicinity, like trendy pop stars themselves. Frank, earnest, and introspective, this book is for theory-heads, pop-culture pundits, and connoisseurs of the unexpected.